Things that are "bottomless" are often either frightening (bottomless pits) or being arrested (bottomless you). 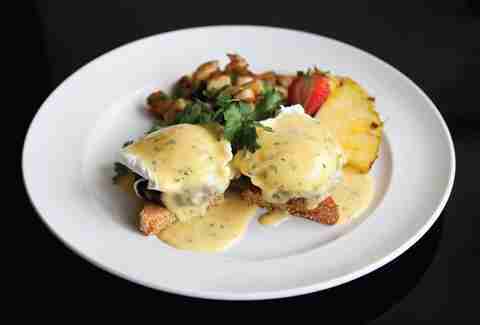 Bottomless brunch mimosas and bellinis, however, are just a good time (until the lead to your pantsless arrest), and you can get 'em at The Red Door, a bistro-esque eatery in Mission Hills. 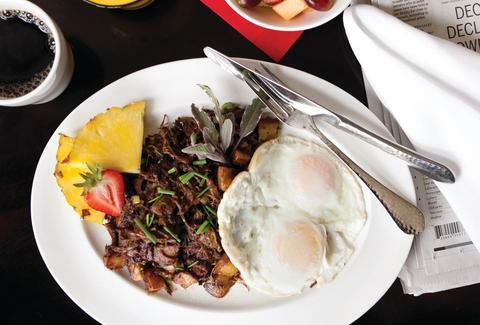 This place serves up traditional Southern comfort food and specializes in brunch, meaning you can get grub like beef short rib hash with russet potatoes & green onions, or chicken-fried steak. They're also really into biscuits, serving them with gravy, jam, hollandaise, and pretty much every other gooey brunch substance. You definitely won't want to miss their happy hours, either, but don't go overboard. On account of the bottomlessness.